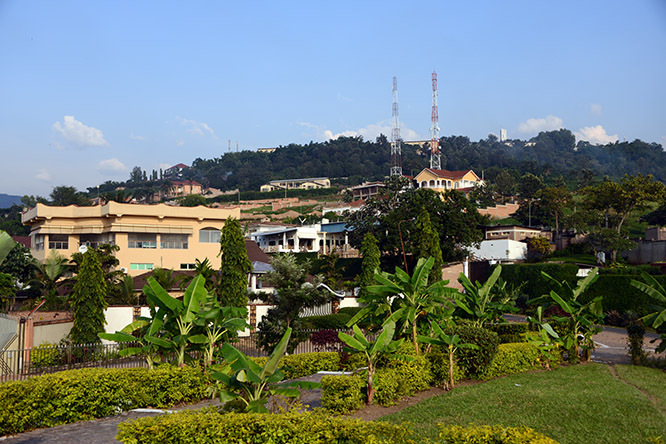 The capital of Burundi is Bujumbura, built along the shores of Lake Tanganyika; the second largest and second deepest lake in the world. 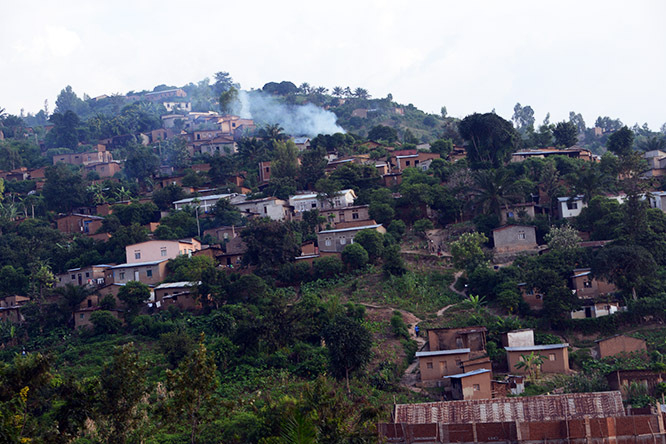 Bujumbura meets the lake and then quickly turns into some steep terrain that changes into the mountains. 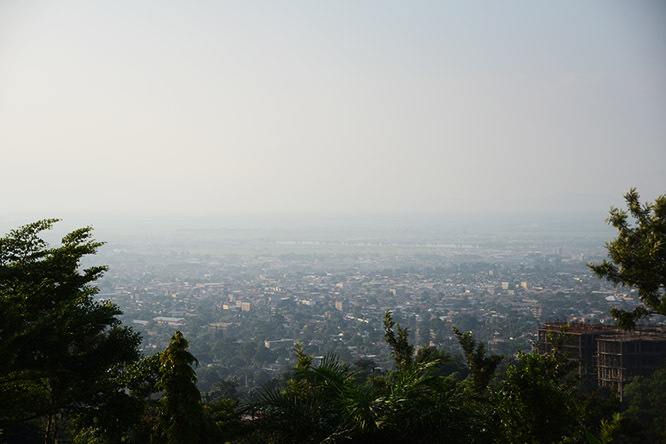 Parts of Bujumbura have a seaside atmosphere while others have mountain views. It’s definitely an interesting city with lots of potential, but instability has ruined it’s reputation and limited its growth. 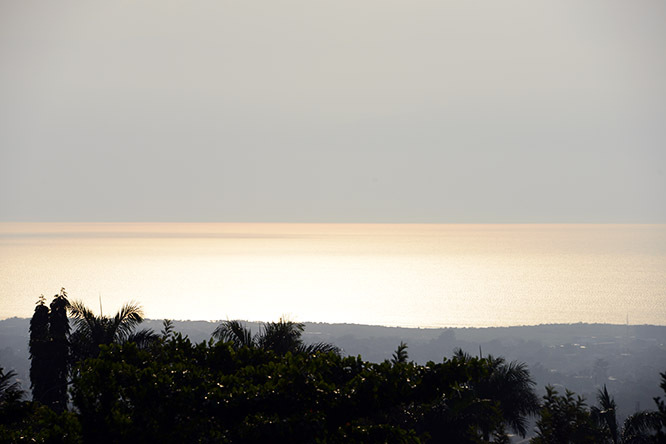 These two photos above and below were taken from the higher parts of Bujumbura where you can see the entire city and Lake Tanganyika below. 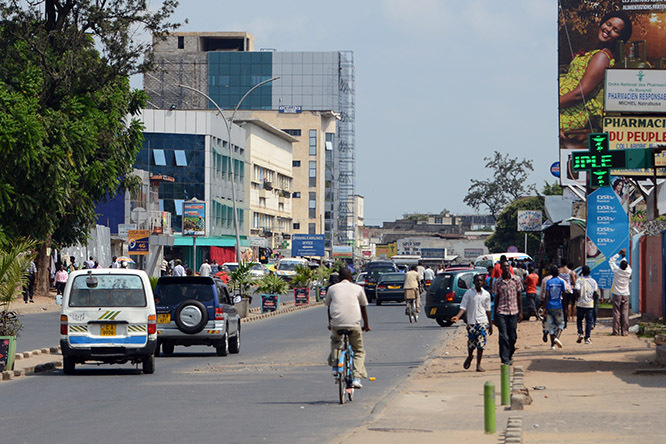 The photo above shows a shot from downtown Bujumbura. The city has a population of about half a million people. I was a bit concerned about traveling here after reading all the travel warnings, but after I arrived I found myself walking around alone without any issues. Some cities you can feel the risk and tension in the air. While at times that might certainly be Bujumbura, I didn’t get that feeling while I was here. 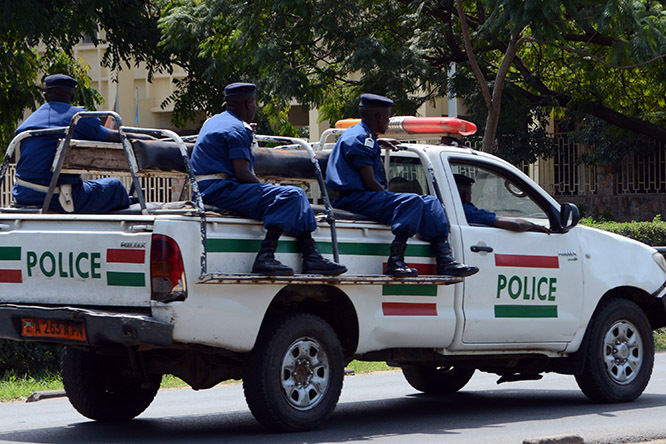 When I visited Bujumbura things seemed relatively calm. Only a month after I left though security broke down and there was essentially heavy fighting in the streets again. A local friend I made while in Burundi messaged me to tell me he had to flee the country and went all the way to Uganda. There seemed to be a good police and security presence in the city, although very corrupt. I had to pay a bribe at the airport on my way out and several others tried to get bribes as well. Most of the population was nice, but these guys got pretty upset when I took their picture. Probably if I were closer, I’d bet the guy on the front bike would have tried to fight me based on his reaction! A few times in the city I had heard loud cheering and chanting from the streets. At first I suspected an angry mob was rounding the corner but to my surprise it turned out to be a large group of runners. 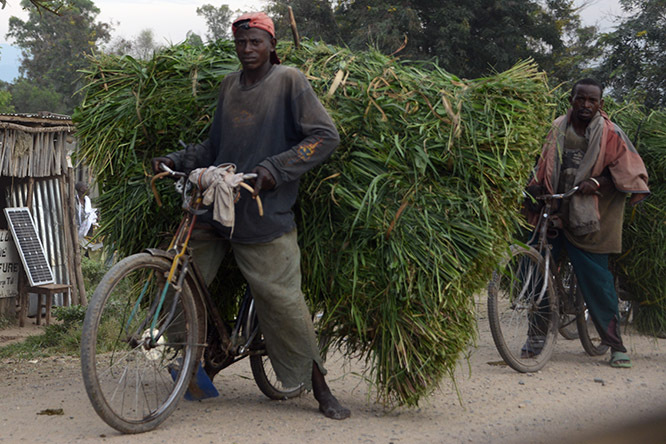 The first time this happened I didn’t have my camera on me, but this seemed to be a daily thing in Bujumbura. I’m not sure how they get organized, but I love anytime people get together and share their passions, especially in places that aren’t known for being the most stable. 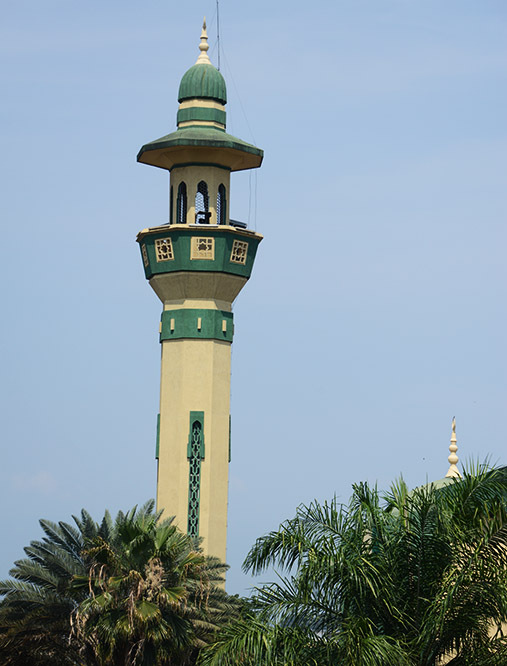 I don’t have any good photos of religious buildings in Bujumbura, but I saw lots of Muslims and Christians living in the city. 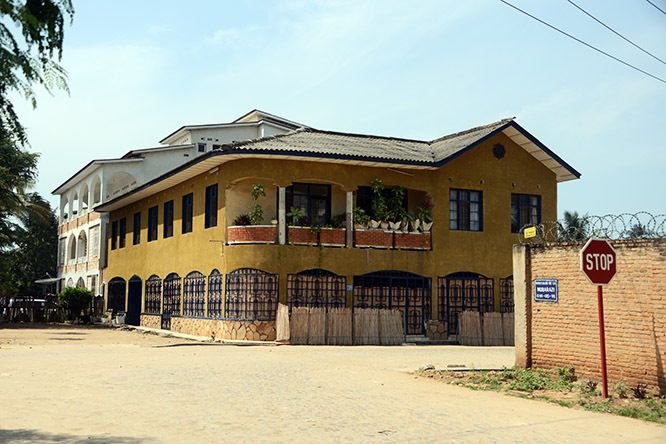 There is a large cathedral in Bujumbura that I missed, but the photo above I believe is the country’s largest mosque and culture center. 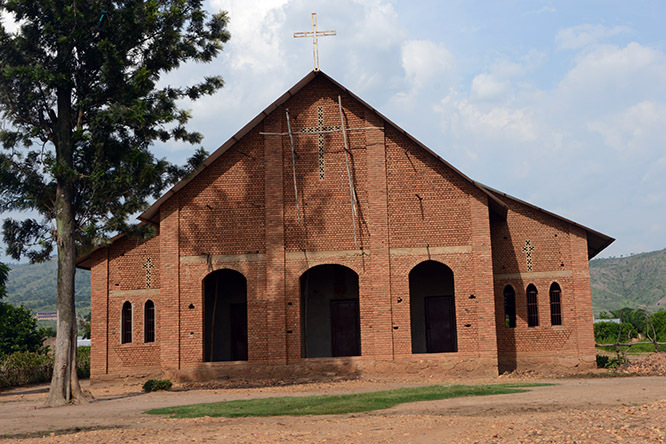 The only church I got was this smaller one on the outskirts of the city. 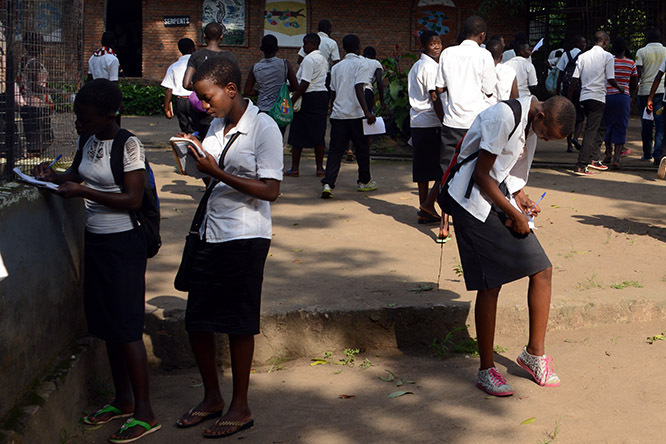 I later read online that Burundi is by the vast majority Christian, with Muslims only making up a few percent. I definitely would have thought otherwise after walking around the city. Over 10 years before I had visited Burundi, I had thought their current president looked like a basketball player. When I walked the streets of their capital on my first day here I came across this basketball game. I don’t think I’ve ever seen one in Africa since soccer is usually the dominant sport. 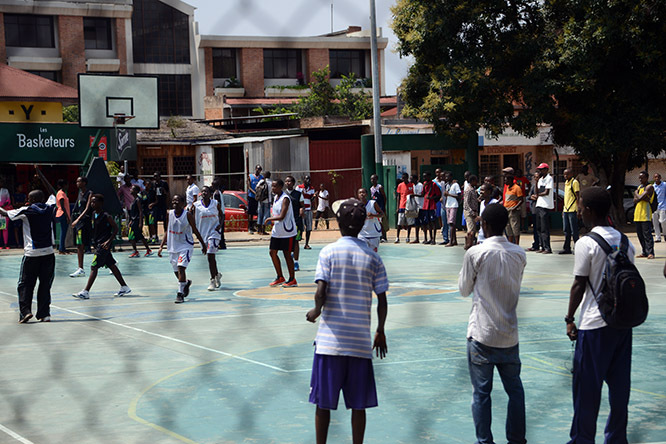 This was the largest basketball court I saw in the city, and it was always very busy. A local I was with said he’d wait across the street while I took the picture, in case an angry mob formed. Everyone seemed too much into the game to notice me. 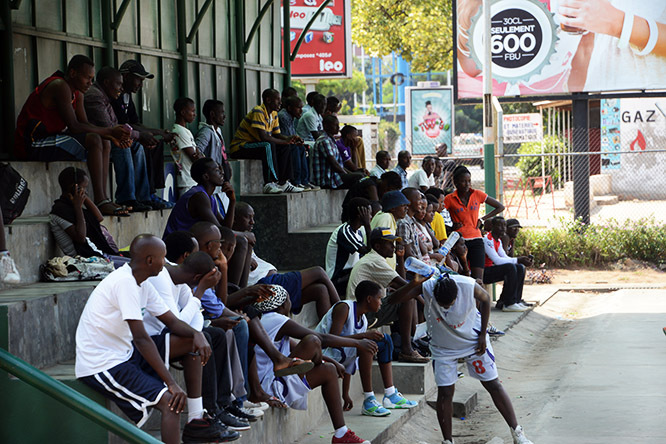 There was quite a number of people watching in the stands, and rather than just a casual game there was always lots of cheering whenever a score was made. 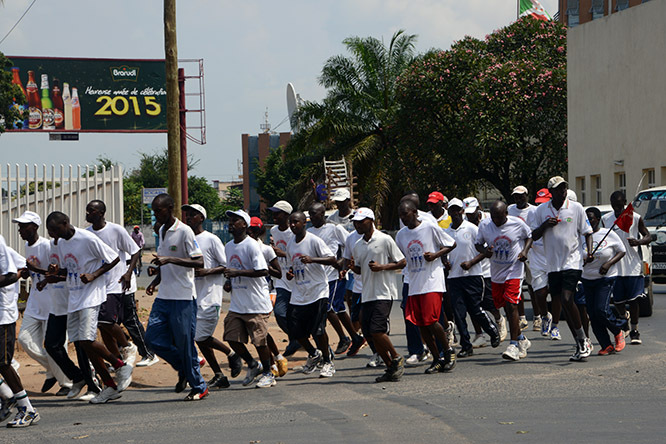 What I’ve always known most about Burundi sadly was their civil war. 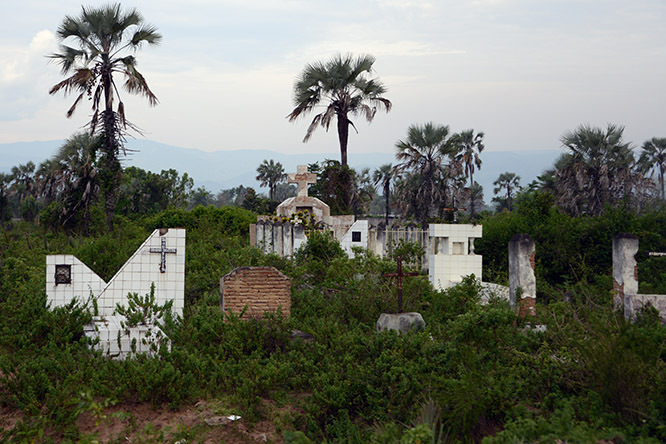 The civil war and genocide that began in Rwanda poured into Burundi and lasted for several years, and the instability from it continues on today. When I was in the capital it was important for me to visit the Civil War Memorial since I had always known so much about it. I took this photo of the military tent above which is directly next to the memorial from a distance. For some reason a local told me I’d not be allowed to visit the memorial, but when I showed up a corrupt soldier came out of the tent and only allowed me in after I had to pay a small price. 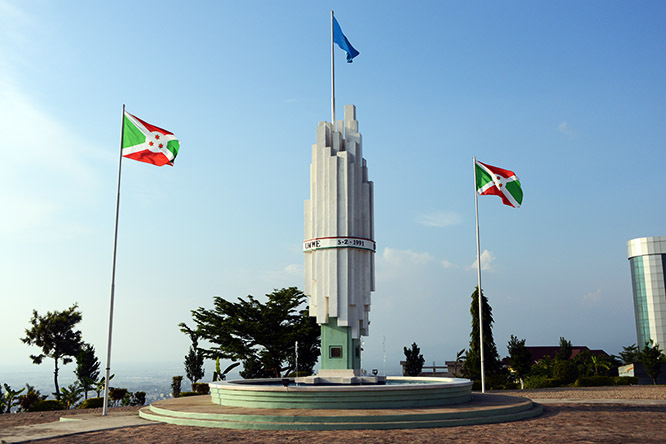 The memorial was definitely well constructed, and if you consider that Burundi is one of the poorest countries in the world that shows how important the memorial is for them. It’s estimated that over 300,000 people were killed during the civil war, and with skirmishes that still continye today that number is still climbing. On the outskirts of the city I saw lots of cemeteries like this one below. I’m not sure if this was from a local village or directly related to the civil war. I expected my trip to Bujumbura to be a hardship one, but I was really surprised by all the good infrastructure they had in parts of the city. 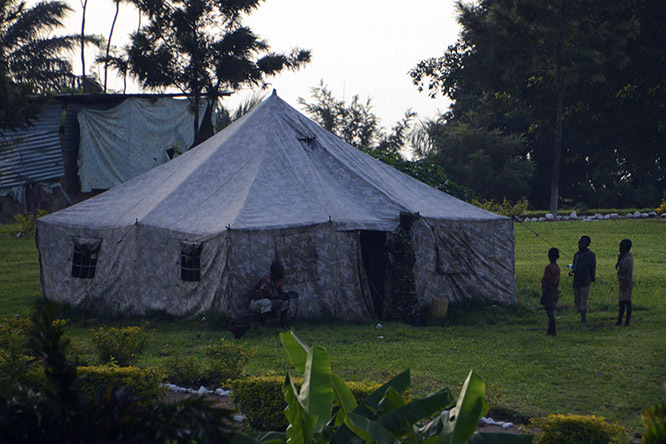 Of course this is nothing the average local can experience, but as a traveler you can visit Bujumbura comfortably. 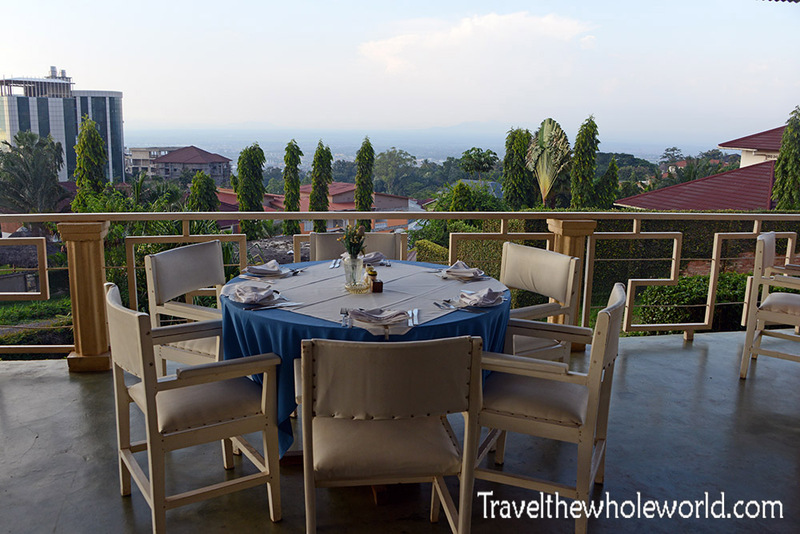 In the hills of Bujumbura right next to the Civil War Monument, I found this fancy restaurant that had a great view of the whole city. 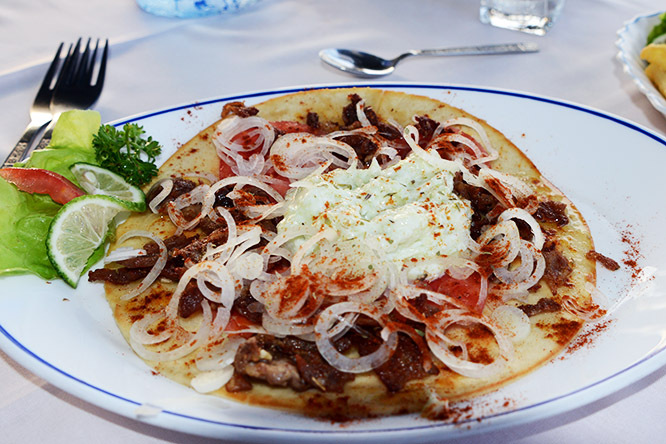 I was even able to try some Greek cuisine here! While as a foreigner I have the luxury to pick where I want to eat and stay, most of the population is about as poor as can be. 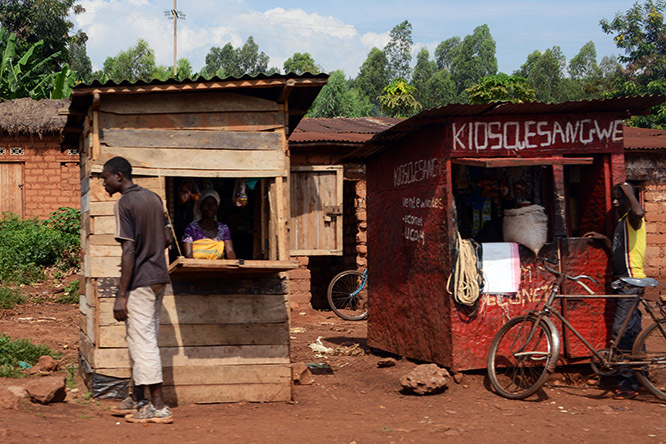 The photo above shows a shopping district in Bujumbura. 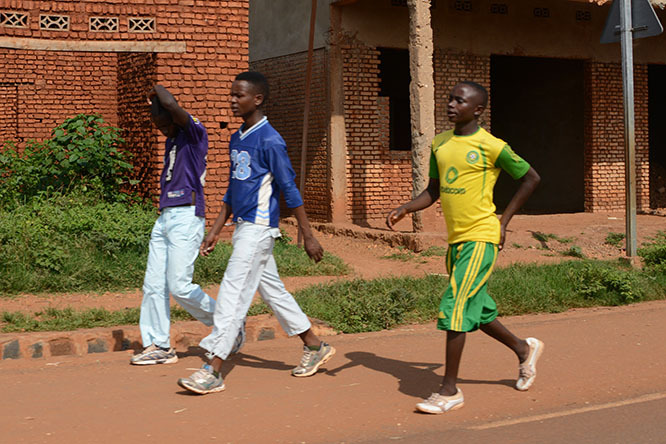 Below are some youths passing by one of the nicer neighborhoods. These two photos show some of the nicer areas of the city that were located up in the hills close to the Civil War Memorial and restaurant I was in. My friend who I made in Burundi was a local and was even learning Chinese here. His teachers had a nice place in this area and we even stopped by to say hi. This neighborhood was definitely where most foreigners who stay in the city live. I often walked from the hills down to the lake since it took less than an hour. There are plenty of taxis around so public transportation is an easy option, but I always enjoy exploring cities on foot. 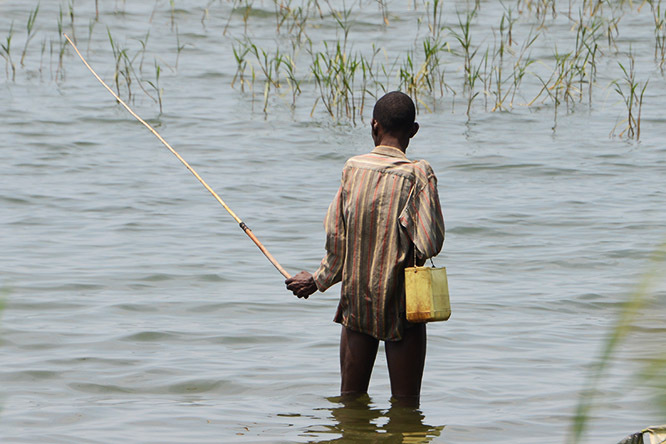 A lot of the country’s resources is dependent upon the lake. There are boats that transport passengers and shipping goods to the Congo, Tanzania, and Zambia to the extreme south. 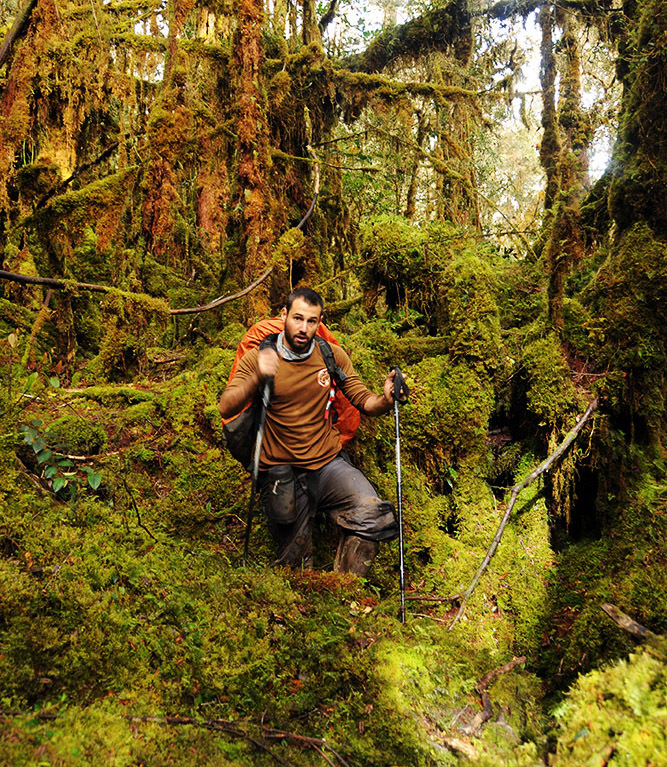 There are also several protected areas like Rusizi national Park. This photo above was taken by the city where many locals go fishing. 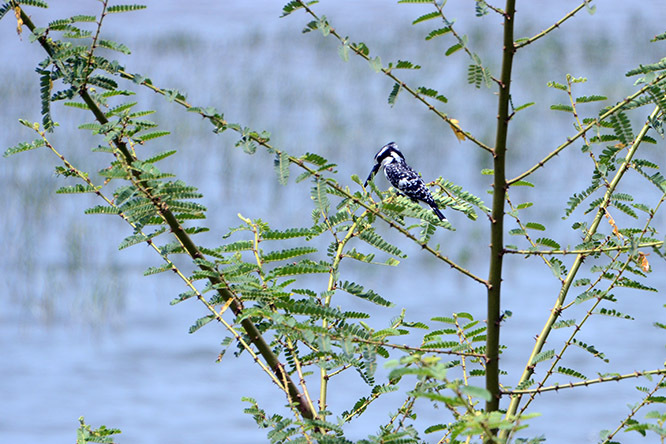 Below you can see one of the several kingfishers I saw along the shore. The areas by the lake also had their share of nice houses and restaurants. I’m not sure if a wealthy local lived in the house above or it was owned by some foreigners. 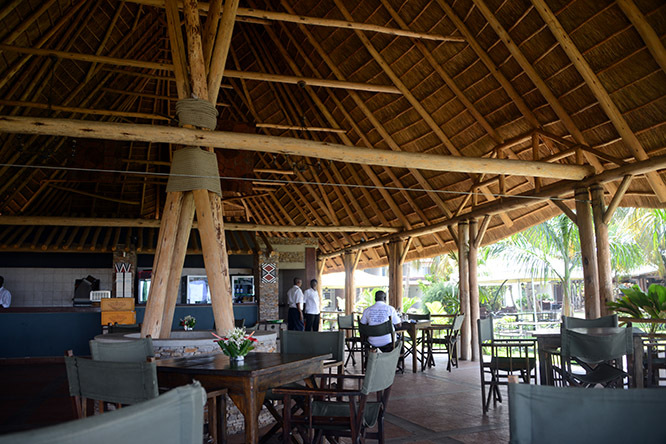 The photo below shows one of the nicest restaurants and lodges in the country. I didn’t spend the night here, but stopped for lunch a time or two. I wish I had a better photo, but they built the place to resemble giant tiki huts and even had some exotic birds roaming around the property. The food and wifi was excellent too! 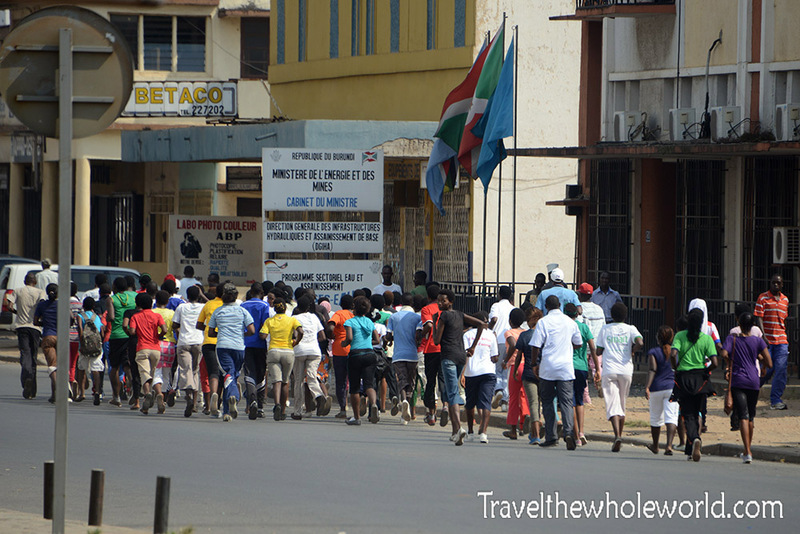 By far one of the most entertaining places in Bujumbura was their zoo. It was almost a zoo without rules, and in some ways it’s a bit risky to visit this place. 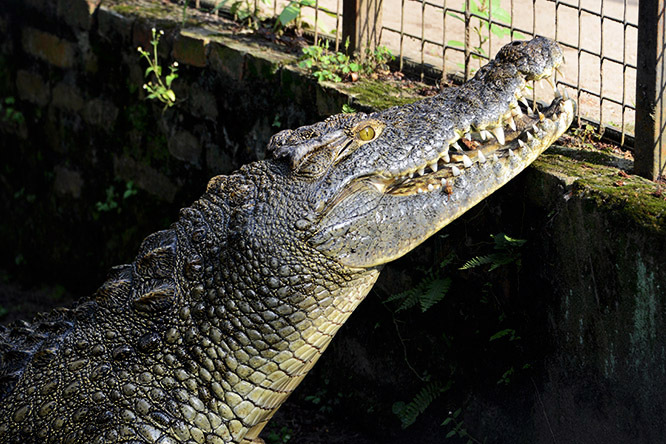 This crocodile on the left is just recovering from a leap he did towards someone who was standing next to the fence. A zoo keeper walked inside the enclosure later and to be honest if I followed him without permission I don’t think he would have thought anything about it. 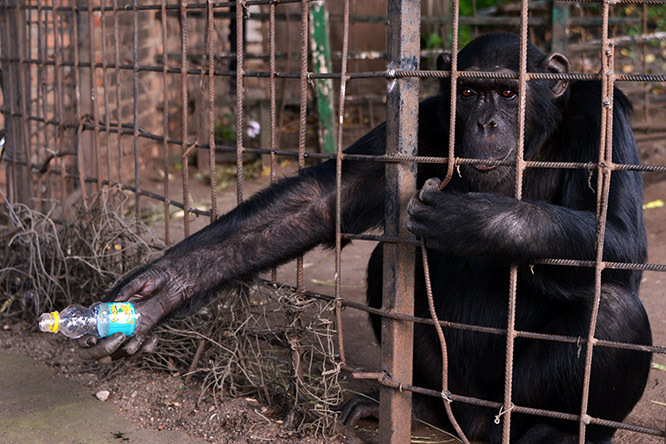 The zoo had two chimpanzees which I believe were the only primates here. Somehow he acquired someone’s bottle, and later when watching I saw him smack a cell phone out of someone’s hand who got to close! There seemed to be some field trip going on when I was at the zoo. These kids were going from room to room taking notes, and whenever a zookeeper would go inside to show them thing they screamed at exaggerated levels that the entire zoo and beyond could hear. 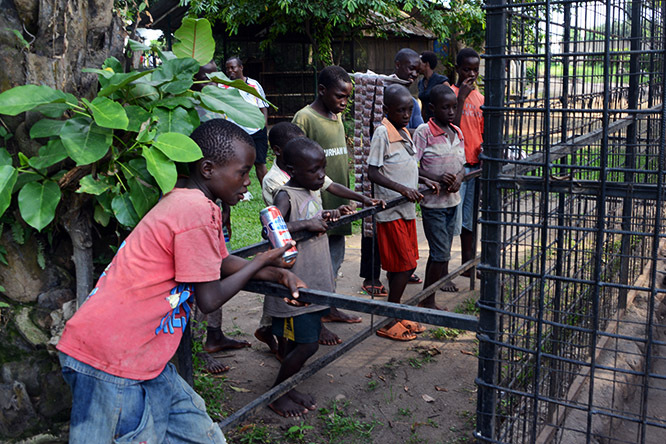 The kids in the photo below are now traumatized after watching the leopard eat a live guinea pig. The reptile room was equally entertaining. They have a few pythons here and harmless snakes, but the majority seemed to be deadly ones. When my hard drive crashed I got most of my photos back but lost forever one I took of a cobra at the zoo. 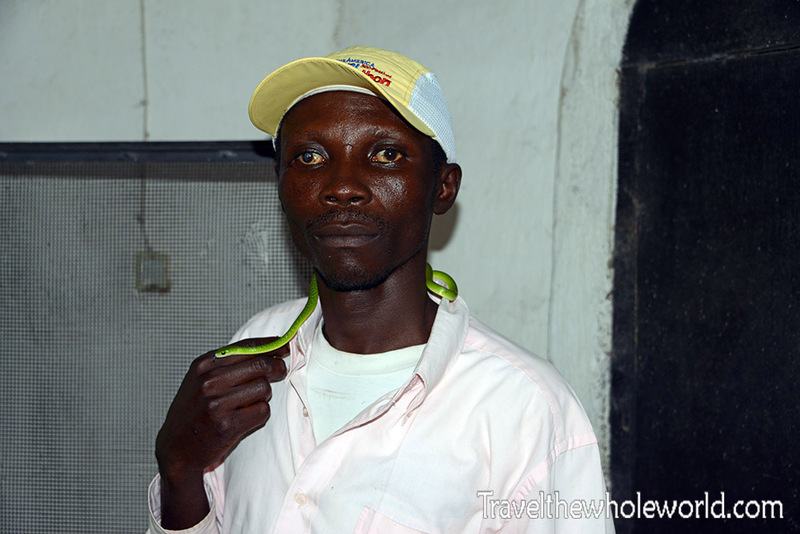 This fearless zookeeper above took out one of the most poisonous snakes they had and let it go on the floor for me to see. Not exactly safe and definitely nothing any zookeeper in the rest of the world would do but entertaining for sure. Here he is posing with a small harmless snake. 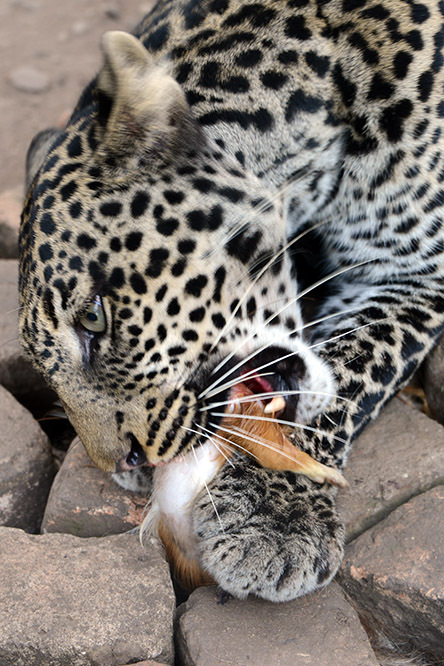 A zookeeper chucked a guinea pig into this leopard’s cage as a demonstration. I have to be honest, even though I eat meat and all it was a bit morbid and disturbing to watch at such a close distance. Fortunately the guinea pig died within seconds. 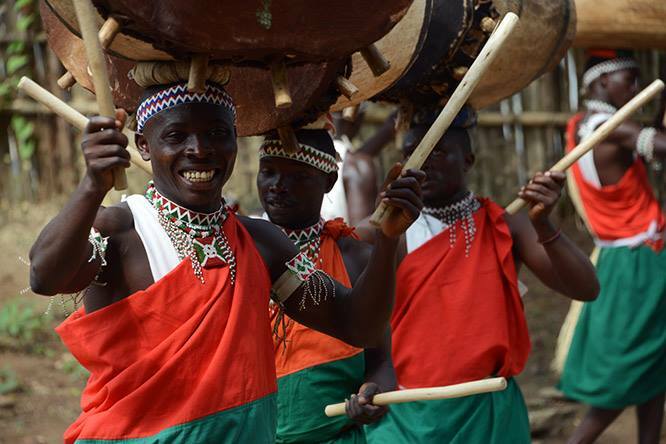 My last photos show what Burundi is most famous for, their traditional drummers. I’ve heard of Burundi drummers before and thought it was a specific group of people, but you can find traditional drummers all over the country. 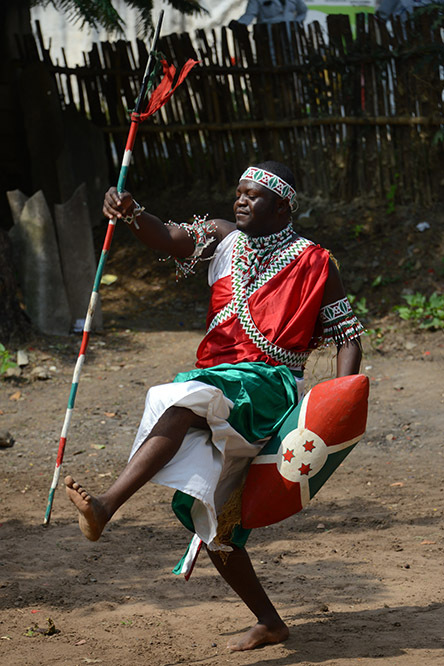 As a matter of fact, there is a group called the Royal Drummers of Burundi, but somehow and for some reason they relocated from Burundi and moved to Ohio USA where they still perform. These groups I found in the heart of the city, and they’ll be more than happy to put a show on for you! 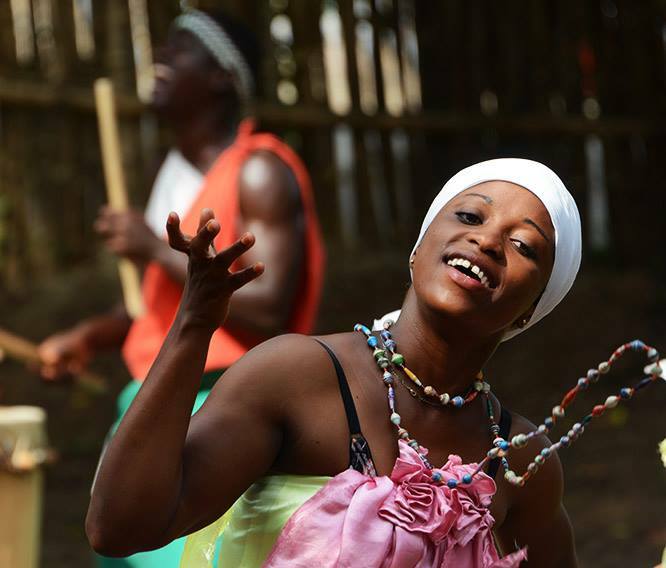 The traditional drummers is much more than music. The performers would do rituals for weddings, funerals, and other sacred and spiritual events. Losing my hard drive with all my pictures on it was definitely a nightmare. 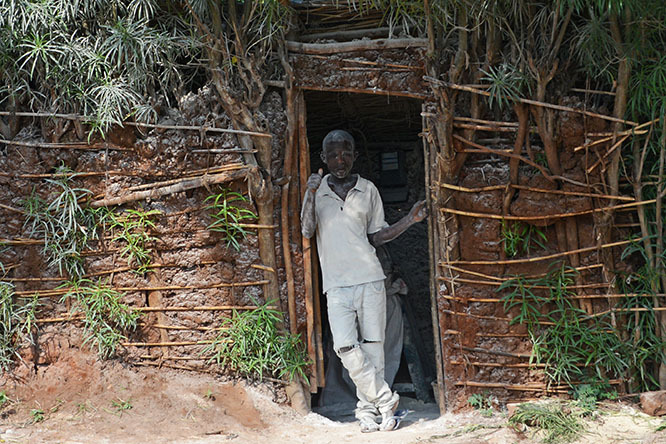 I only recovered about half of the photos from Burundi like I mentioned earlier. I had a better photo of the chief drummer above, but this is better than nothing! The majority of the performers were all men, but there were about five female dancers like this one below. 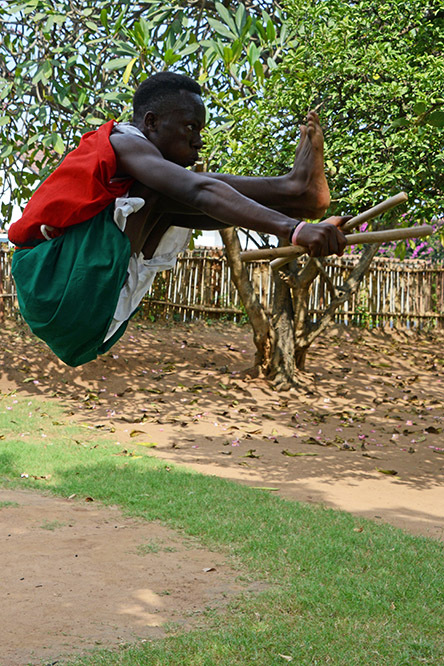 What makes the Burundi drummers unique is their ability for extreme jumps and acrobatics while performing. They did a variety of stunts such as marching and dancing while balancing the drums on their head and high jumps and back flips as well. They’re all pretty friendly too, and don’t mind if you join the fun! They let me try to play the drums with them and showed me some of their basic techniques.